These days, since I’m working on a few different projects, I’m not always certain which direction to focus my blog posts. I’ve revised my memoir and given it to my editor (yay, me!) for an assessment, and I’m giving my novel a last tweak, now that it’s done. And I wrote the mini-guide for men and women on online dating safety to help with my platform. So do I write on my favorite topics the memoir covers, like domestic violence, finding lost family members, child kidnapping? Or do I focus solely on the novel and explore different ways we find love, like online dating? 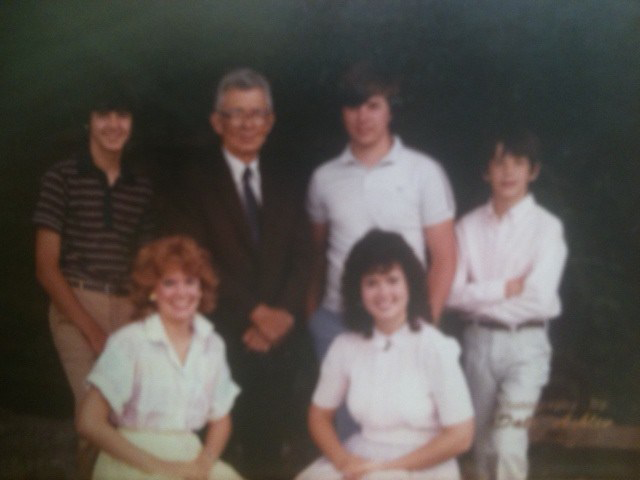 1985-Meeting my dad and some of my siblings. And then I read about long-lost siblings Josephine Egberts and Erik de Vries, who recently reunited in the most peculiar way: through online dating site Tinder. Touche! It’s a perfect blending. I found my own father in 1985 through my dear friend and attorney Ira Uhrig. Ira dialed the phone number listed to my father in Louisville, Kentucky. The phone had been connected for less than an hour. Through that call, I learned I have scads of siblings and aunts and uncles that had been missing me. It all seemed so surreal. Thirty years later, as I prepare to see the family in early June, it still does. But meeting a long-lost sibling on an online dating site? Now that is truly shocking. And wonderful. When you get a chance at love, why not take it? Where has your search for love taken you lately?